uTorrent is a (very) tiny BitTorrent client for Windows sporting a very small footprint. 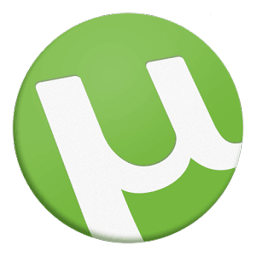 uTorrent is an efficient, feature-rich and built for speed. That means ultra-efficient downloads of mega-sized files. The program was designed to use as little CPU, space and memory as possible while offering all the functionality expected from advanced clients. With uTorrent, you can download files faster and contribute by sharing files and bandwidth. Most of the features present in other BitTorrent clients are present in uTorrent. That includes bandwidth prioritization, scheduling, RSS auto-downloading, and Mainline DHT. Additionally, uTorrent supports the Protocol Encryption joint specification and peer exchange. This application was written with efficiency in mind. Unlike many torrent clients, it does not hog valuable system resources. Various icon, toolbar graphic and status icon replacements are available, and creating your own is very simple. uTorrent also has support for localization, and with a language file present, will automatically switch to your system language. If your language isn’t available, you can easily add your own, or edit other existing translations to improve them! Tiny. Size is about 2 MB (smaller than a digital photo!). It installs ultra-fast with a light footprint on your computer and runs super-efficiently. Intelligent. uTorrent is instinctively smart. It auto-adjusts bandwidth usage based upon your network and the Internet. Use Skype, play games, stream video etc., all without interference. Plug-n-Play. The program is a snap to install on your home network. In most cases, it’s plug-n-play. uTorrent also uses UPnP and NAT-PMP technologies to prepare your router for torrent access.